What Outfit Will You Wear To The #Jailey Wedding? Justin Bieber and Hailey Baldwin’s wedding is sure to be the wedding of the year – which ever year it happens. Now there may be rumours swirling that the couple has already tied the knot in a super low key ceremony at Town Hall, but it’s being said that they’ll be throwing a proper reception to celebrate the nuptials with friends and family eventually. And here lies the dilemma. Should you be so lucky as to receive an invite to the exclusive event what ever would you wear?! Finding an outfit for the party on Friday night and your Tinder date on Saturday is tough enough. Well, rest assured. We’ve got you covered. Take our quiz to see what style you should sport if your invite to the Jailey wedding just happens to pop up in the post. You're planning your own wedding. What's on the menu for your guests? Big Macs, tacos & buckets of KFC - Go wild! Cake, cookies, candy! Dessert is the only thing I care about. What's your favourite school subject? What are your go-to pair of shoes? Back to planning your wedding. What are your bridesmaids wearing? What's your favourite Justin Bieber song? Who's your favourite late-night TV host? If you were in a famous rock band, what instrument would you play? You'll wear a gorgeous embroidered gown to Jailey's wedding. Stunning! Ditch the dress! 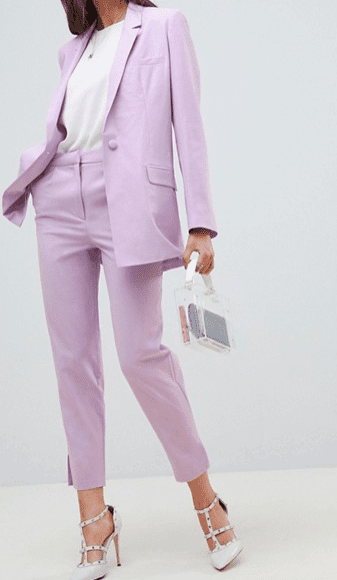 You'll go for a chic tailored suit for Jailey's wedding. 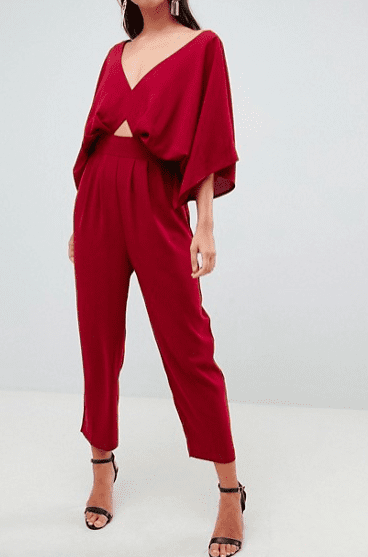 Jumpsuits are everything right now and this beautiful red one will look killer on you!